With the first snow falls in Columbus, I knew it was time to arrange some face time with the Big Guy. 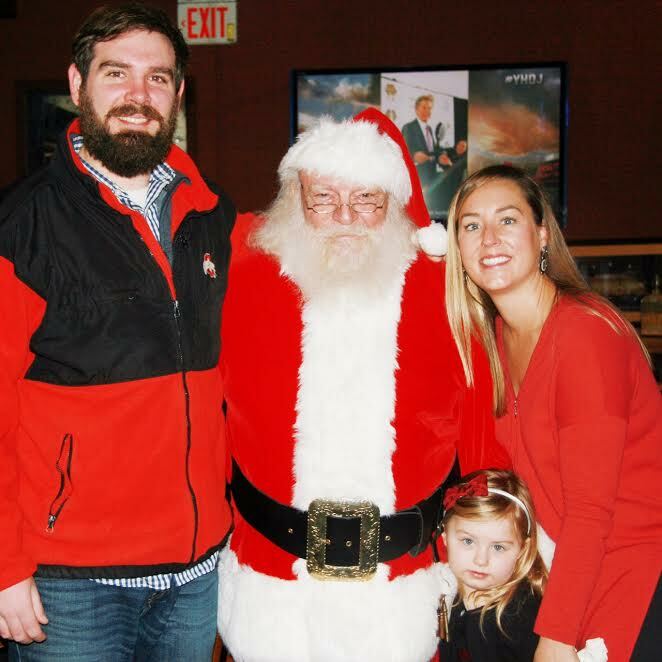 Evelyn could not have been more excited about getting to sit on a strange man’s lap and I was dreading waiting in line at the mall and paying a dumb amount for terrible quality pictures with Santa, who still looks hungover from too much eggnog. Imagine my delight when Rusty Bucket reached out, letting me know about an opportunity they had to enjoy breakfast with Santa! Rusty Bucket serves one of my favorite bloody marys in town, so I knew this was an opportunity for the entire family to get what they wanted on a Saturday morning. I knew there was a reason I loved this restaurant. Without a second thought, I made reservations and immediately cancelled the trip to the mall. This is known as Mom WINNING. Before heading off to Rusty Bucket in our best fur, we stopped to catch a few snowflakes. You want to watch an almost four year old, lose it? Take her to Santa while it’s snowing. Now you are Mom who isn’t only winning at the game of life, you also possess super powers. Just like Elsa. 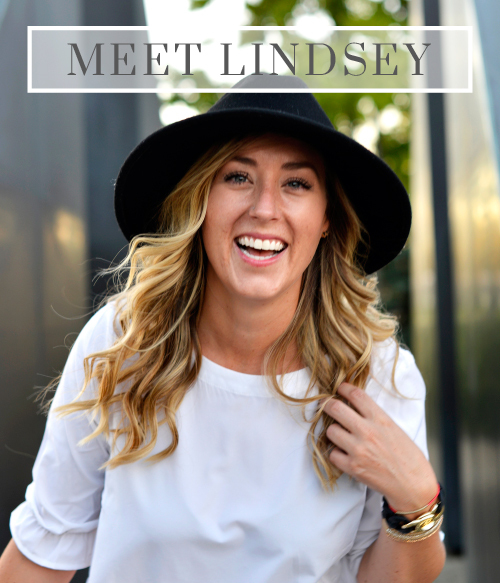 In true Lindsey fashion, we were a little late. When we arrived they were waiting on us, and the hostess quite curtly let me know, we almost missed it by 30 minutes. Let me tell you why being late was a great move on my part. When we arrived at Rusty Bucket we were one of only four families left. I heard it was much busier at 8:30AM. Because it was not busy, Santa literally sat down and we enjoyed a good 20 minutes of face time with the jolly man. 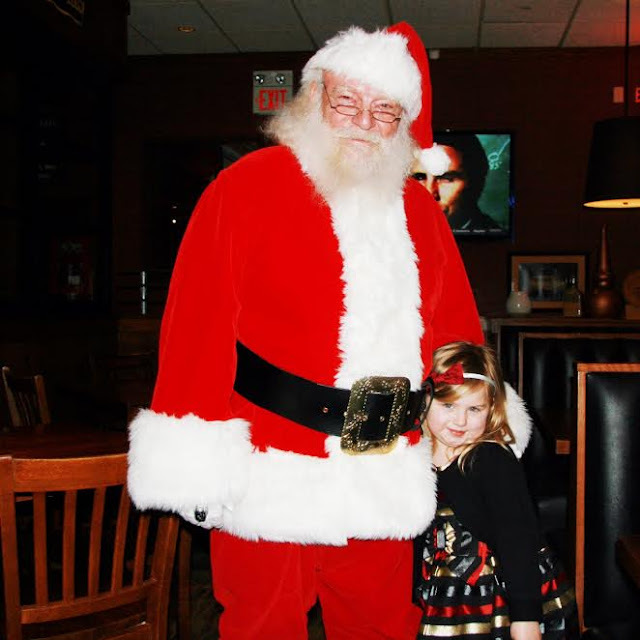 Rusty Bucket’s Breakfast with Santa has to be the best deal in town. For $5 per person, you got a breakfast which included, bacon, eggs, toast and fruit. 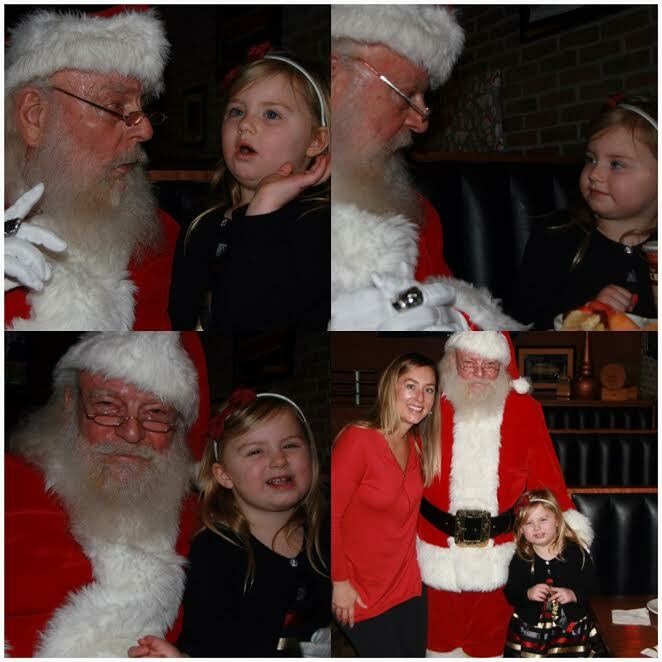 You were also encouraged to bring a camera, as Santa visited every table. No lines. No mall. No screaming children. No overpriced, terrible pictures. I quickly made this our new annual Santa sighting. So easy and so worth it. Much to Manfriend’s delight, I forgot to take a picture of my food and bloody mary. Evelyn ate almost all her breakfast, if the almost four year old eats it, you know its delicious! The bloody mary for Mom, was like opening a present on Christmas morning. 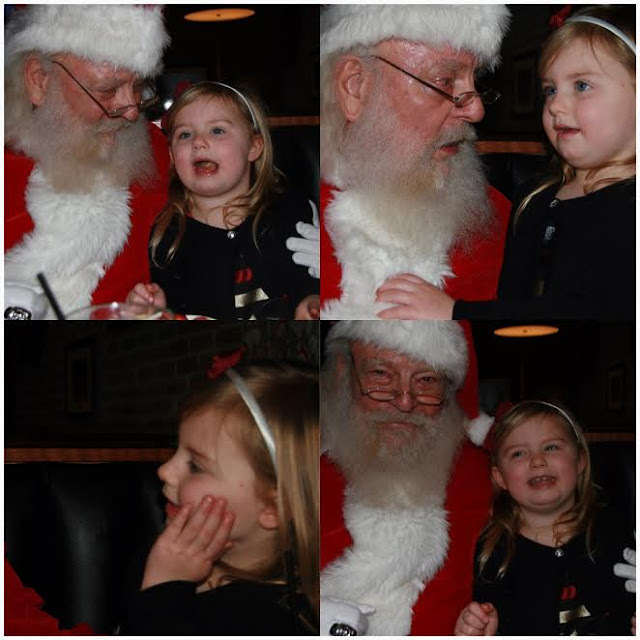 There was no lack of talking at our table when Santa was there. Evelyn had all kinds of questions. Filled him in on all of her secrets. She could not get enough of him, hugging him and constantly touching and caressing his red coat. 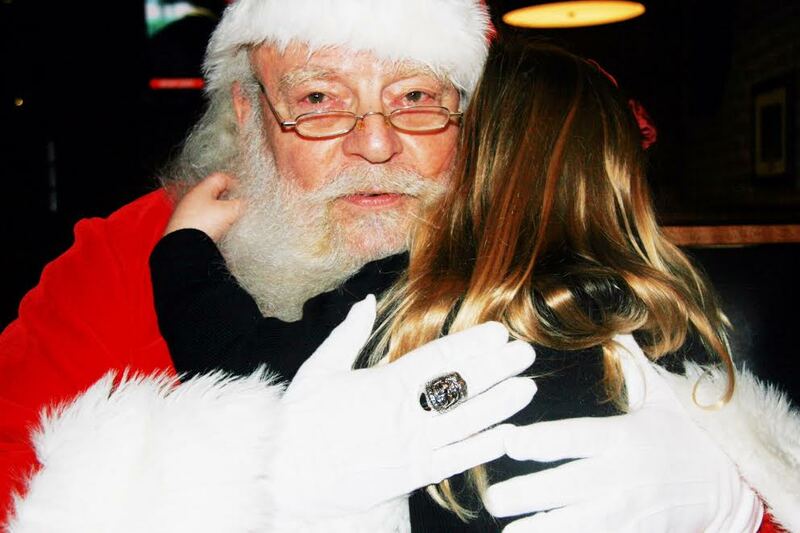 We were so lucky to get such an incredible man as our Santa. He could not have been kinder, engaging with her and playing along. This guy had Santa down! This Mother Elfer has been seriously trying to keep up with Sparkle, our very own Elf on the Shelf. I will not be sad to see that sucker go! 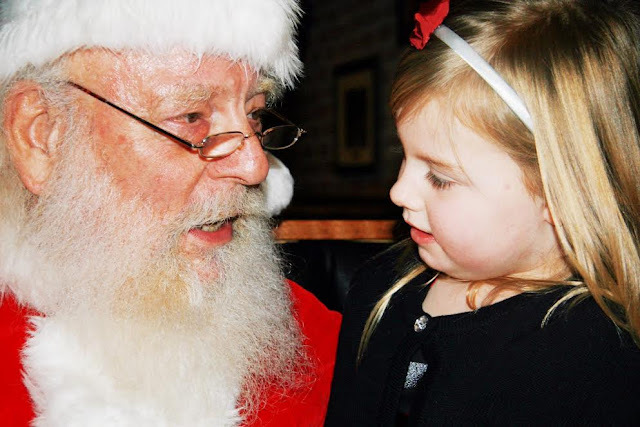 So much to tell Santa. Thank you so much to Rusty Bucket for hosting us for another amazing event. Please continue to do this annually and I will keep a standing reservation for 10:30AM. Previous Post Sweet Carrot & Platform Beer Co.